Extreme Engine Tech, Building the Ultimate K24 Part 2 The Bottom End! In the last edition of our series, building the ultimate streetable late model K24, we had focused on the engines top end switching to an earlier model K20Z3 head with Vtec on both the intake and exhaust sides of the engine and a removable exhaust manifold – all big steps in getting more performance. We have been questioned on our power goals. Sure we know the K motor is capable of producing a lot of power, but peak power isn’t our goal. Practical useable power is. We are not going for max power or king of the street power. We want to be able to reliably make our power on 91 octane gas, not 93 or E85. We also want to have a nice wide, very driveable powerband where the car will be on the pipe from 3000 to 8000 rpm. This is fun and practical power and we will be tuning and sizing our BorgWarner EFR turbo with this in mind. Now we will be turning our attention to the engine bottom end, fortifying it for turbo power! 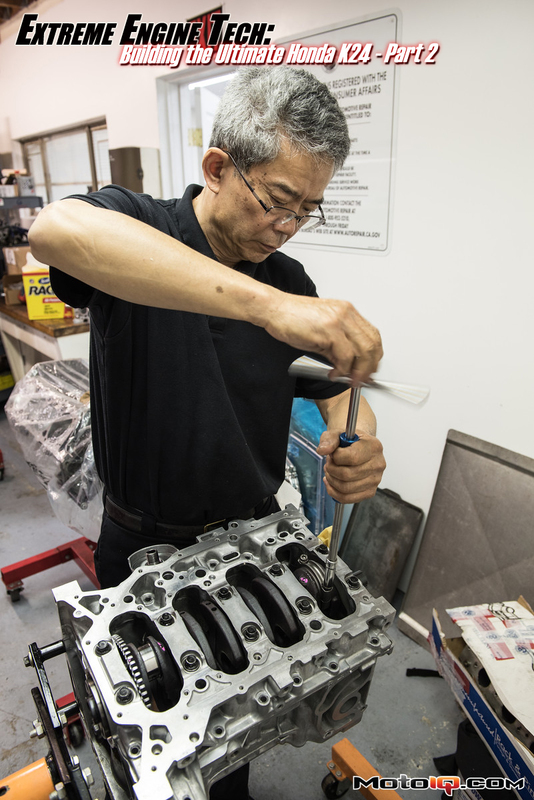 Like the head, our goal will be to use off the shelf parts that are readily available and in stock at Motovicity. This engine is not some super esoteric custom build, but one anyone could easily duplicate relatively inexpensively and quickly without long back or special orders. 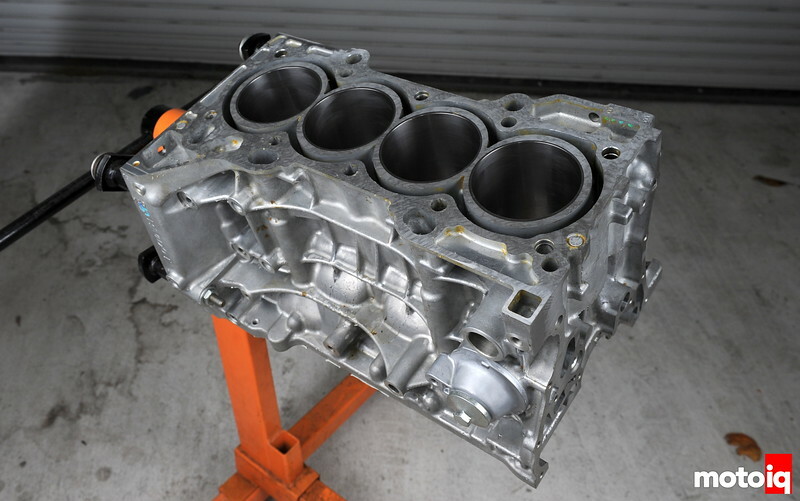 We started with a brand new late model K24Z7 block, the engine found in the current Honda Civic Si. We don’t normally recommend building an engine bit by bit like this as it can get quite expensive. By ordering piecemeal the cost of all the little parts will kill you. If you don’t want your brand new car to be down, it would be good to find a core engine from a wrecking yard to start off with. This is much cheaper and less aggravating than figuring out every little part that goes in/on an engine. The K series block is a high pressure die cast aluminum part which gives good strength and light weight. The casting techniques used enable features such as a lot of ribbing for stiffness, but thin sections for lower weight. 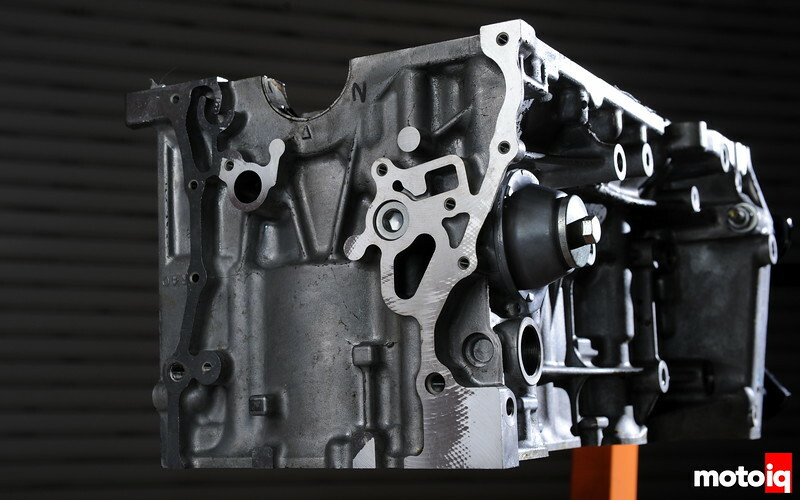 The die casting gives a very clean block interior that does not need a lot of prep work like a sand cast block does. 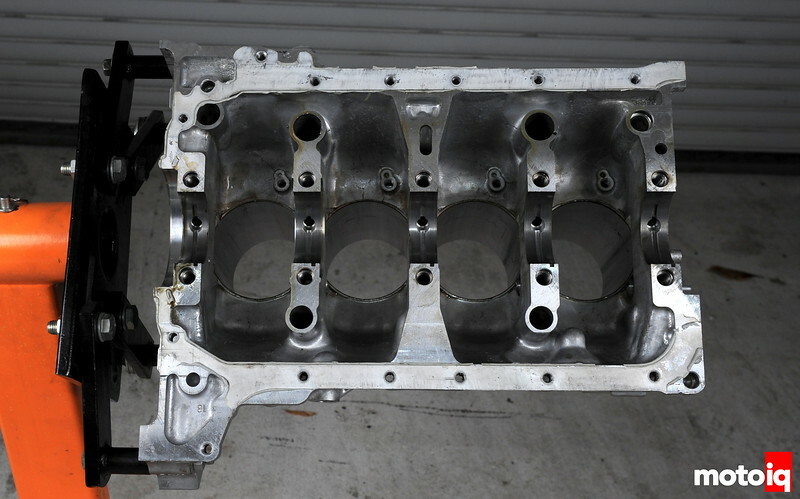 Normally the interior of the block is deburred and polished to prevent entrapped sand from breaking loose and doing damage to the engines internals. We selected JE’s asymmetrical FSR pistons in standard bore for the bottom end. The FSR is a strut type piston meaning that it has a reduced slipper skirt profile. In the past slipper skirts meant light weight and low friction, but lots of noise and sometimes rapid wear. Not so with FSR pistons. 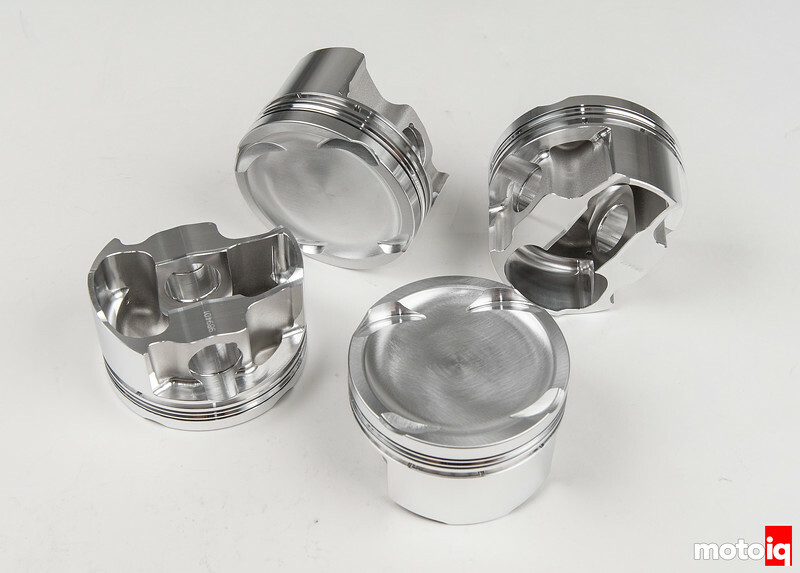 JE has the piston design and barrel profile down and we have found FSR pistons to run quietly when we have used them, great for street engines.